It’s summer; our minds are on vacations and weekends with friends and family. Many businesses are slower, including accountants providing CPA (certified public accounting) services. 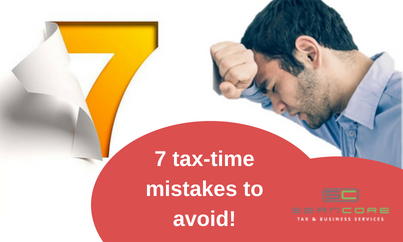 One of the most costly tax-time mistakes small business owners make is not knowing the right thing to do. So, when do you think is the best time to get your taxes in order? Now, while the pace is slow and you’re not pressured to meet filing deadlines. The write-off for state and local tax (SALT deduction) has been capped at $10,000. You can still write off 100% of property and sales tax on a business schedule if you have rentals or are self-employed. Moving expenses are no longer deductible. S Corporations continue to be watched by the IRS. Revenue agents will be conducting audits at shareholder level to ensure basis is tracked properly. Since many individual are not contributing to retirement plans, small businesses will get a $500 tax credit for establishing automatic enrollment in 401k or IRA retirement plans for employees. 1. DIY filing – You should have an accountant/CPA for taxes if only to keep you compliant with ever-changing tax regulations. No matter how small your business, you’ll kick yourself when you wing it a few years with DIY taxes, then seek an accountant and hear, “I could have saved you some money when you started…” A recent survey revealed 89% of small businesses realize additional financial gain and/or savings with an accountant. 2. Software illiterate – Accounting and business software comes in all shapes and sizes. Find out what others use and speak with your accountant about software that could better-organize your business. Most CPAs prefer Quickbooks desktop version, but there are other types of software which work well for freelancers, solopreneurs, or smaller businesses. 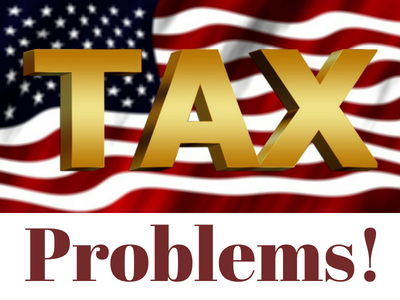 3- Tax filing extensions – It’s better to file and pay something than to file for extensions. You can avoid penalties and lower the amount that, eventually, you must pay. 4. Ignoring 1099s and not sending them out by required date – If you don’t have the tax identification and addresses of your service providers/vendors, you may be losing some deductions and also flagging yourself for an audit. A 1099 Misc is a form you file with the IRS to report expenses paid to vendors during the year. All 1099s should be delivered by January 31. The filing threshold is $600 in aggregate. 6. December/January tax focus – You should think about taxes all year. “Every single transaction in business has tax consequences,” says Sean Core, CPA. Mid-year during our slow summer season, is one of the best times to get your books up-to-date because you have more time. Additionally, accountants are less busy and have more time to spend with you. Why not begin organizing for tax-time now? We understand this market and the area-specific challenges of our local Arizona businesses. Contact Sean Core CPA for more information. Better yet, call 480.626.5043 to schedule an appointment. Our conveniently located office is at 2815 S. Alma School Rd., Ste. 103, Mesa (the southeast corner of Guadalupe/Alma School Road). (We are conveniently located “on the border” of Chandler, Gilbert, Mesa, and Tempe right off the 60 and 101). Sean Core CPA PLLC specializes in small- to mid-size Arizona companies. Schedule Appt with our CPA now! I’ve been a client of Sean Core CPA for 5 years. What I love about working with Sean is that not only is he knowledgeable and experienced about the intricacies of running a business and my investment properties but he also has a great personal demeanor. His firm is responsive, friendly and gives down-to-earth advice. I also love the fact that he is mobile and will invest the time to meet with ..
Sean has been my CPA for the last 5 years now. When the IRS audited my company and sent me a letter saying I owed them $80,000.00, I went to Sean although the audit was for a few years before I met him (I had done my own taxes on Turbo Tax that year). He represented me, did some great public searches and research because my records were incomplete. By the time he was done, the IRS was cutting me a.. I highly recommend the financial consulting services of Sean Core. He's served my family well since 1999 and saved us many thousands of dollars on our tax returns based on his knowledge and creativity. Mr. Core advised us on strategies to accomplish our financial goals which saved us the most money and guided us to success. He maintains open communication and updates me with an informative monthly..